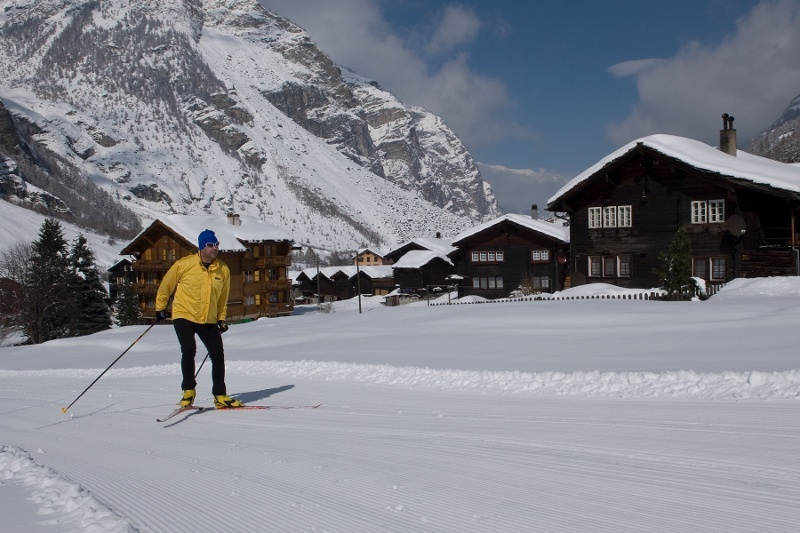 If Täsch offers a rather leisurely cross-country ski experience, Randa is the place for a more energetic challenge. The terrain is gently undulating and demands skill and fitness. The valley floor is less flat around Randa than in Täsch, and therefore ideal for skiers seeking a more technical challenge. 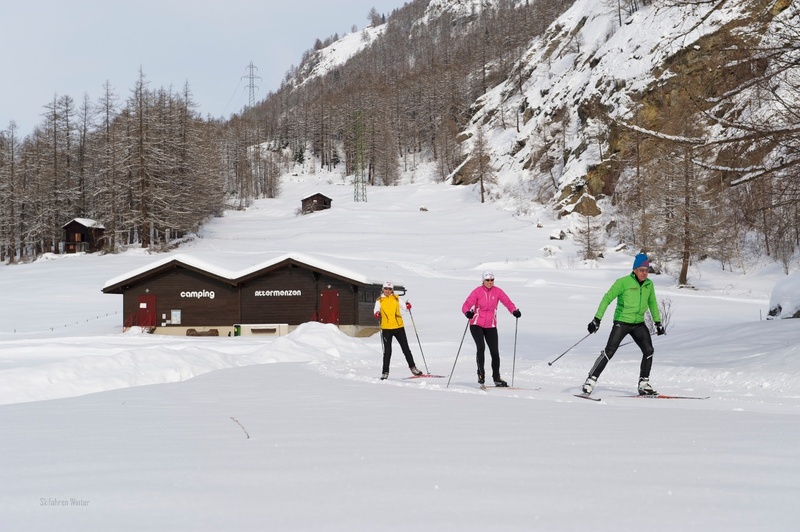 The cross-country ski trails – both classic-style and skating-style – boost technical ability and fitness, and help build muscle strength. 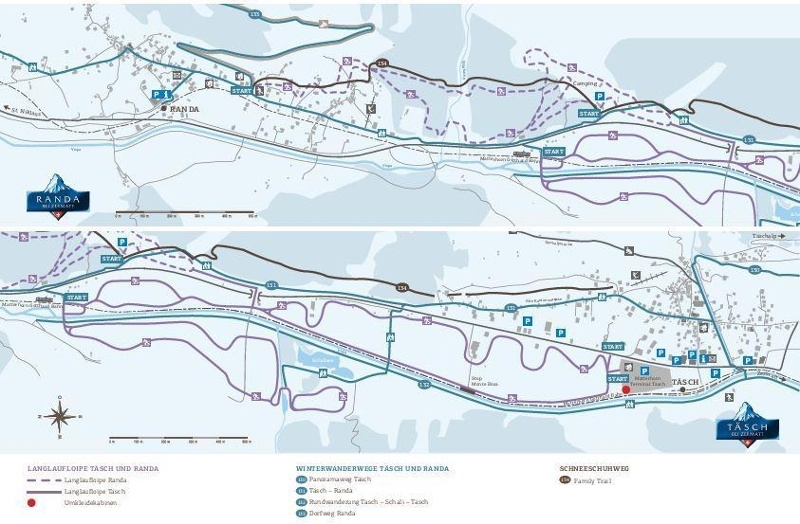 In all, Täsch and Randa have 15 km of skating-style and 10 km of classic-style trails. The cross-country skiing trail is especially beautiful after a fresh snowfall and when it is still cold, which keeps the snow on the trees. This is when the landscape looks like a winter fairy tale. Please be considerate to other cross-country skiers. Walkers are not permitted on the cross-country ski trails. Observe all signposting and directions. When overtaking another cross-country skier, keep poles close to body to avoid injury. On descents, maintain adequate distance from the cross-country skier ahead, and always adapt speed to conditions. If you wish to pause along a trail or if you fall, vacate the tracks as quickly as possible.